I was going to do a ‘what I wore’ post but the weather is grim and taking photographs in the rain isn’t my idea of fun! Instead, here are the latest addition to my cat themed wardrobe. This dress is from Asos. It’s a really lovely fit and I am a big fan of cotton jersey fabrics as they’re so comfortable to wear. The little cat on the print is a cutie too! I’ve clearly trained my eyes well as I spotted this from the other side of the shop! I think I can recognise a cat print from a mile away. It’s from Tesco. I like the simplicity of the print. 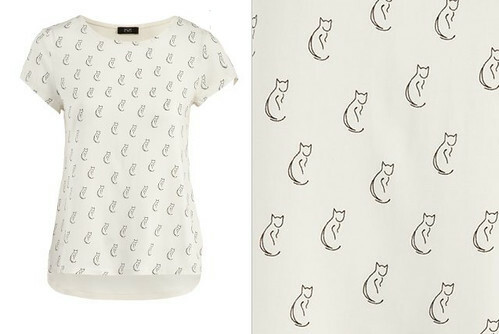 I’m always on the lookout for cat themed clothes so if you spot any, let me know! The ASOS dress is great. I have these TUK shoes which are fab and so comfy.